Nothing in the world makes you appreciate sleep as much as having children. The pitter patter of tiny feet might be sweet in theory, but not if they’re plodding into your bedroom at 3am asking if it’s nearly time to get up yet. And nothing quite sharpens your desire for slumber than a baby whose idea of a ‘long sleep’ takes less time than you spend brushing your teeth. When you have young kids, you’ll throw money at anything to make them sleep – from electronic unicorn mobiles to stuffed sheep that replicate the muffled sounds of the womb. But what about treating yourself – giving you the best chance of a good night’s sleep? The most important thing (beyond earplugs, if it’s your night off): make sure you have a comfortable mattress. That’s where Mammoth comes in. Any mattress company that names itself after a giant woolly prehistoric mammal is clearly not playing games. Its products are mammoth in name and nature. Thicker than your average tree trunk, they range from 270mm up to 300mm deep. They are constructed from specially designed Medical Grade foam, which has been scientifically tested and shown to improve sleep. Mammoth has recently launched its new Shine collection, which includes PostureCell technology and zonal support. 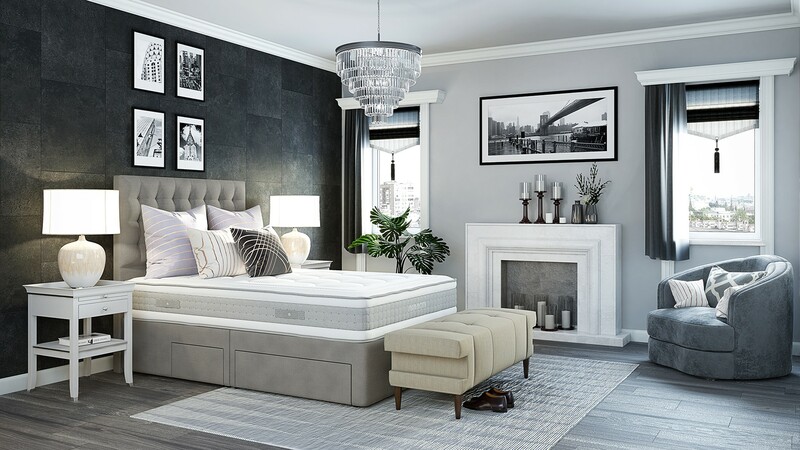 These advanced support systems marry up different areas of the mattress to different parts of your body. It stands to reason that you don’t need the same strength of support for your feet as for your core, for example. With the Shine collection you need to choose between soft, medium and hard. Medium includes a layer of between 2,000-3,000 pocket springs, too – for extra bounce. There are three levels to pick from: Essential, Plus and Advanced. 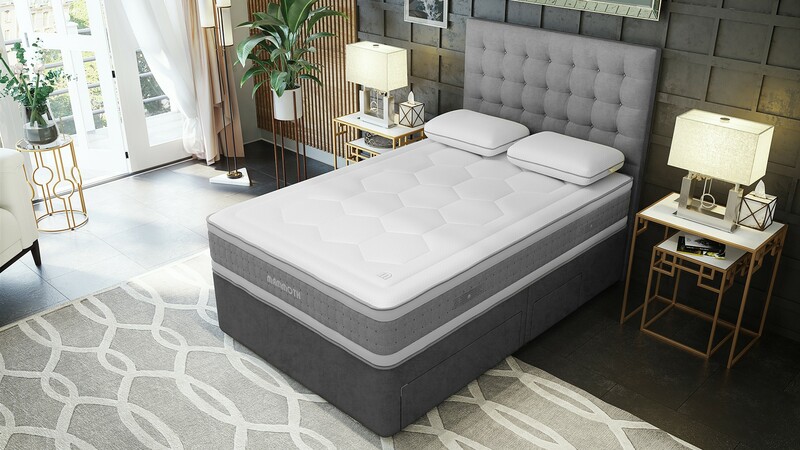 Essential is a 270mm-deep mattress with three PostureCell zones; Plus is a 270mm-deep mattress upgraded to five PostureCell zones; and at the top of the range is Advanced – a whopping 300mm deep with seven support zones. As well as a lack of decent sleep, the other thing young parents – and frankly most people who have a desk job – suffer from is a bad back. Not only can this make it harder to sleep, but the wrong kind of mattress can worsen the underlying issue. Naturally, Mammoth has this covered. If you don’t believe me, speak with the Chartered Society of Physiotherapy (I know you have them on speed-dial), which recommends Mammoth to all its clients. 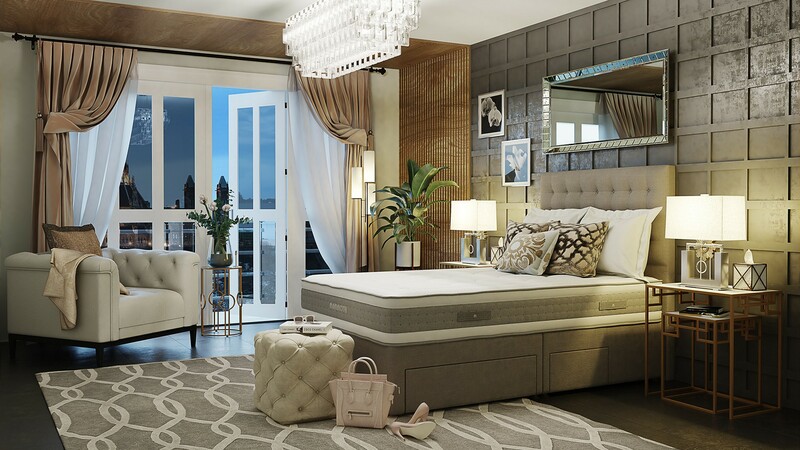 When it comes to mattresses, it turns out size does matter. Go big and go home.